SKB Hard-Shell Travel Cases...Absolute Travel Security For Your Clubs! Exactly as advertised. Have had it a week and used it on recent airline trip.. Held up well, no dents or dings. A real keeper! Great cases; sturdy and light weight. Needed a bag smaller than my old oversized bag. 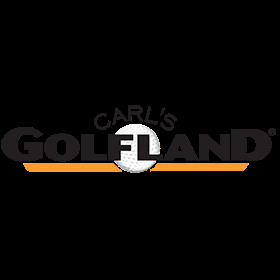 Thank you Carl's Golfland for maybe the best carrier I have ever used. Have had a few bags in the past and was never totally comfortable sending them thru Airport baggage handlers. Those days are gone. This case is by far the best I have ever owned. No need to buy a stiff arm or worry if that new $499 driver is going to get through unscathed. Rolls great allows me to pack extra gear (shoes-balls-gps-rain gear) and still not over the 50 lb limit. Q: Is the SBK 4814 exactly as pictured with wider lower section? A: The SKB 4814 is wider on the bottom to fit the larger pockets of a golf bag. Fits all stand bags and most cart bags no problem. A: The SBK 4814 is wide enough to accommodate my Titleist cart bag with shoes added as well. I just returned from a trip and this case is a beast.